Enjoy Free Shipping on this Item. No promo code required. Valid through 4/1/19. 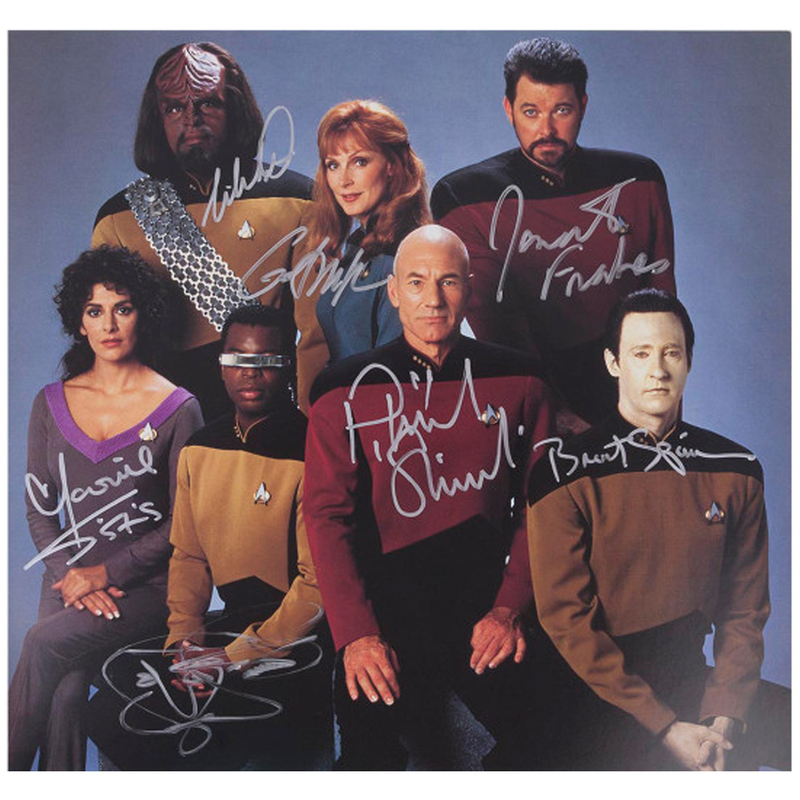 This unframed Star Trek: The Next Generation photograph has been personally hand signed by Michael Dorn, Gates McFadden, Jonathan Frakes, Marina Sirtis, LeVar Burton, Patrick Stewart, and Brent Spiner. A Certificate of Authenticity is included. I was pleasantly surprised to find the quality of the photo so good &amp; the signatures were authentic. It was a gift for my son on Father’s Day &amp; he was thrilled. Again I am very satisfied with the high quality of the photograph. I would purchase another photo (different crew) in a heart-beat.